តើ OPPO Fan និង Avengers Fan មានអារម្មណ៍យ៉ាងណាដែរពេលឃើញរូបភាពពីរសន្លឹកនេះ? Good Bye អេក្រង់ឆក ហើយ Say Hi សម្រាប់អេក្រង់លាតវិញម្តង! ថាមែន មែន! 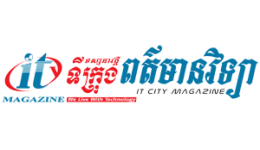 OPPO ធ្វើទូរស័ព្ទ Avengers ទាល់តែបាន ហើយតើវាអាចនឹងមានអ្វីអស្ចារ្យខ្លះទៅ? © 2019 Copyright Phone City Magazine. All Rights reserved.